I ran across a blog post today at Hyperbole and a Half that perfectly describes us right now. I wish I could write so well about my failures. I feel like I owe you all interesting projects to post about but we've gotten a bit burned out. Even though we hired out most of the hard work, the 2+ years of remodel wore on us and our motivation has apparently abandoned us. That being said, we're having problems with the chickens escaping from the backyard into the front yard and messing up Jeff's garden so we are currently trying to get to work on the side fence. Yes, the side fence we were going to finish in October 2011. I got together the material list again and wrote for a couple quotes. It is possible we'll start work on this project this week because the chickens are making Jeff crazy. Either that, or we'll be having chicken soup next week (which will make me sad). I hope you can find a solution to your chicken problems. Our first chickens many years ago were tearing up my garden, so I keep them in their pen and they were unhappy, one would peck me, so I got rid of them. Now we keep poultry in chicken tractors. Our easiest one was a wooden doghouse with a 4-5' chicken-wire run attached. I like wire floors that stay cleaner, and some wheel arrangement to make moving it easier. Ha! 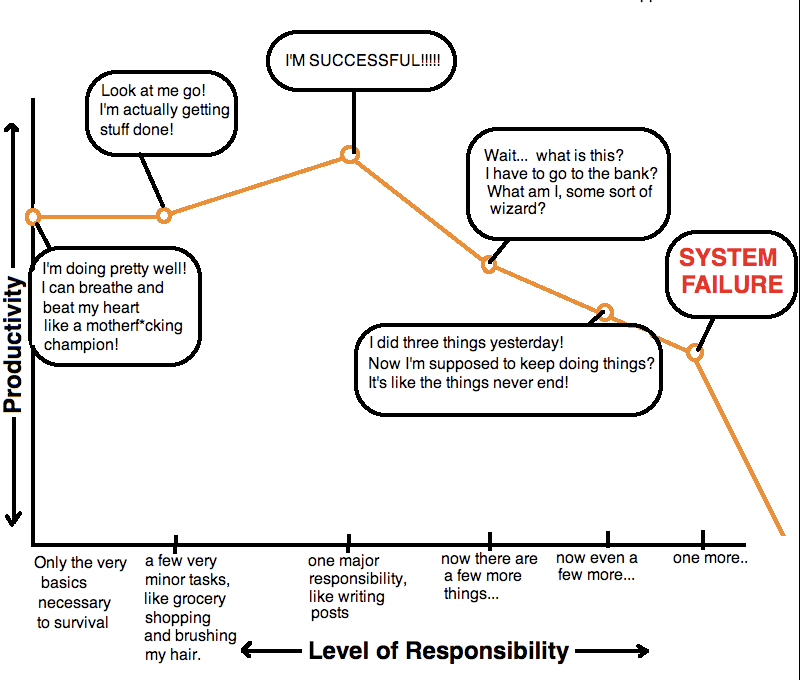 I think that chart describes every day of my life! You guys are doing good. If my house had 1/4 of the work done that you have done with yours I would be happy. 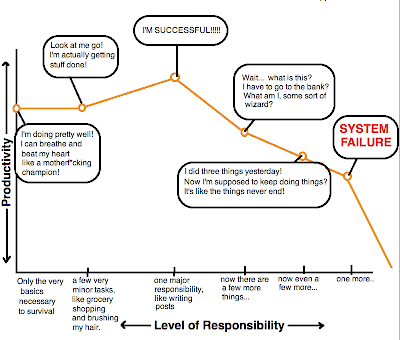 I'd have to alter that chart to doing six things at a time...more than that and I have system failure. Of course, I have kids.... Good luck on the fence! Off topic, but I'd forgotten the name of that blog and hadn't checked in in ages. Yikes. That girl has been slogging through some emotional swamps the past few months. Makes me think I have nothing to complain about.